Happy Valentine’s Day! First, Unofficial Team Komala must pay respects to Columbus Zoo’s Ambassador Moondani Koala who passed away last February 2016. Moondani was part of the AZA Species Survival Plan and I was lucky enough to catch him snoozing in the exhibit area when I remembered to bring my camera along. 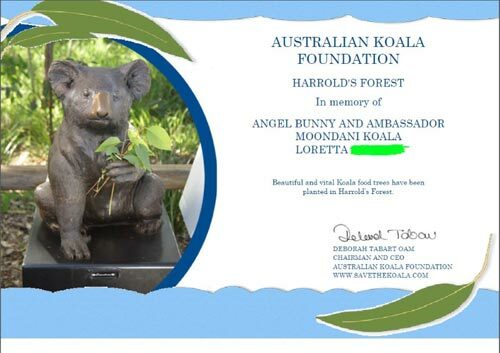 Thanks to koala conservation efforts of The Australian Koala Foundation, I was able to contribute to a few memorial gum trees planted in Harrold’s Forest in memory of Moondani. 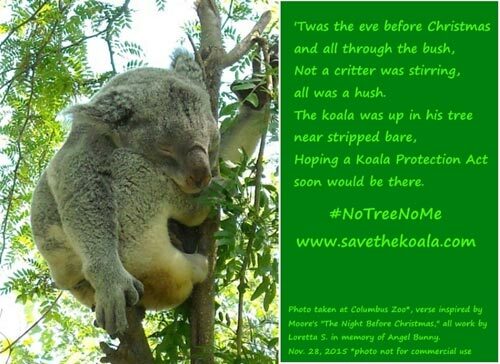 However, Australia’s iconic and world-beloved koalas are in trouble and it’s up to Team Komala to BELLOW to the Australian government that a Koala Protection Act is needed…yesterday! Please do whatever you can to support your US zoos that participate in the AZA Species Survival Plan and check out Australia’s foremost non-governmental funded (in other words, they can advocate for koalas’ best interests because they accept no government funding), not-for-profit organization The Australian Koala Foundation www.savethekoala.com. You can join The Koala Army there by providing your e-mail for updates and there is a gift shop where purchases support koala conservation (free shipping worldwide during Save the Koala month—September, normally—if you order over $50AU in merchandise). And now, finally…the moment Pokémon-gaming koala lovers have awaited for 20 years: THE KOMALA HAS LANDED. 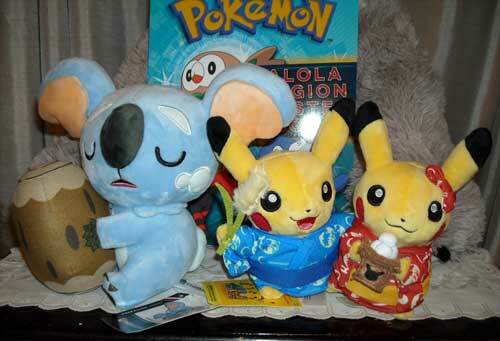 That’s right, Pokémon Center USA finally received Komala plush this past week. As you can see by the photos, I’ve received my order already; I’ve only ordered from Pokémon Center online twice, including this order, but in both cases, I received my order within 48 hours—on just Standard Shipping! How top-notch is that for service?! Pokémon Center online currently has a special where if you order $50+ in merchandise, shipping is free. I got two Komala plush toys to bump my order over in addition to the delightful Moon Viewing Pikachu pair plush. I absolutely adore this boy-girl pair (the girl’s tail is notched, just as a female Pikachu’s tail should be) and being a Team Buneary fan, I was tickled to see the kimono print motif was usagi in the moon—or rather, Buneary in the moon—just like in Japanese folklore! Pokémon Center online also has received other Alola Pokémon merchandise along with lots of new items for 2017—but so have local stores! The Scholastic Alola Region Pokémon Poster Book is available through Barnes & Noble along with other bookseller sites such as Amazon, Target, etc. and YES, it does include a Komala poster! PIKA! Target has received Tomy’s spring wave of plush including Bunnelby, Luvdisc, Togepi and Pikachu holding a strawberry, so kawaii! My Valentine haul centers on koalas and bunnies, here’s where you can find these adorable items (left to right, top to bottom): Angel Bunny’s animal loving/caring owner Fluttershy, Hasbro small Pony plush from Meijer, Itty Bitty Pony plush from Hallmark; humongous koala plush from Wal-Mart; felt “I Love You So Munch” koala plush from Hallmark (I told the clerk all about savethekoala.com when I bought that! 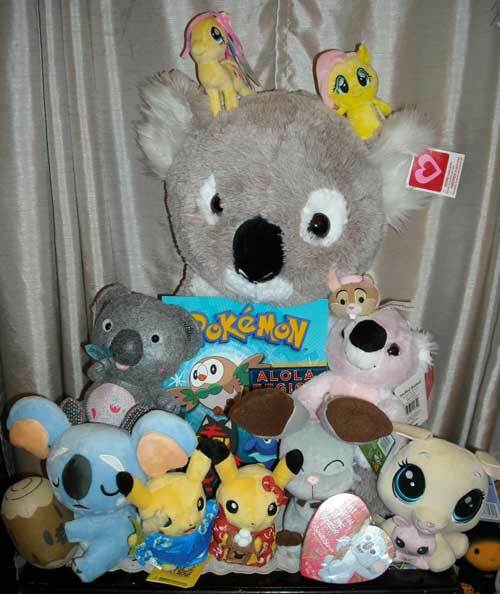 ); Scholastic Pokémon Alola Region Poster Book from Barnes & Noble; Brer Rabbit Tsum Tsum from Disney Store Disney Parks collection online; small pink koala plush from Wal-Mart; Komala plush and Moon Viewing Pikachu Pair plush from Pokemon Center online; Bunnelby plush, Russell Stover koala motif chocolate heart and Vanilla & Bijou Velvetears Littlest Pet Shop plush pair from Target. I’m not sure what Komala’s creator was thinking when they designed it, but it definitely channel’s the AKF’s catchphrase #NoTreeNoMe. On that final note, I hope favorite Pokémon will inspire fans to think about conservation; otherwise we will lose the real life animals that inspired our favorite characters forever. We must BELLOW to save our wildlife! PIKA!